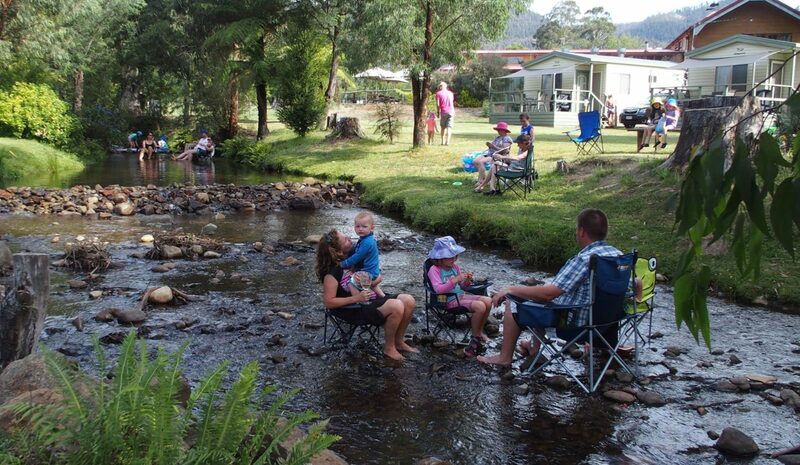 Marysville Caravan and Holiday Park is in the centre of Marysville, within walking distance to all of your needs. Beautiful gentle river running through the middle of the park, makes this park that little bit extra special. The park is proud of its family environment that makes it a safe and lots of fun for families to create life time memories. There are self-contained cabins with lovely views of the river, budget cabins and accommodation for singles and powered sites. Drying room for the snow bunnies, disabled bathroom, function room. All powered sites are green, the river is beautiful to paddle in in the summer. Marysville is just 95 kilometres from Melbourne. 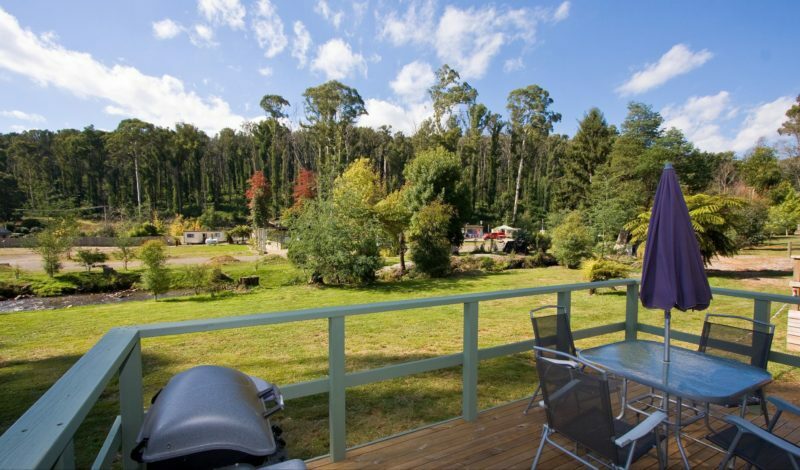 Travel along the Maroondah Highway, over the Black Spur and through spectacular towering Mountain Ash forests. 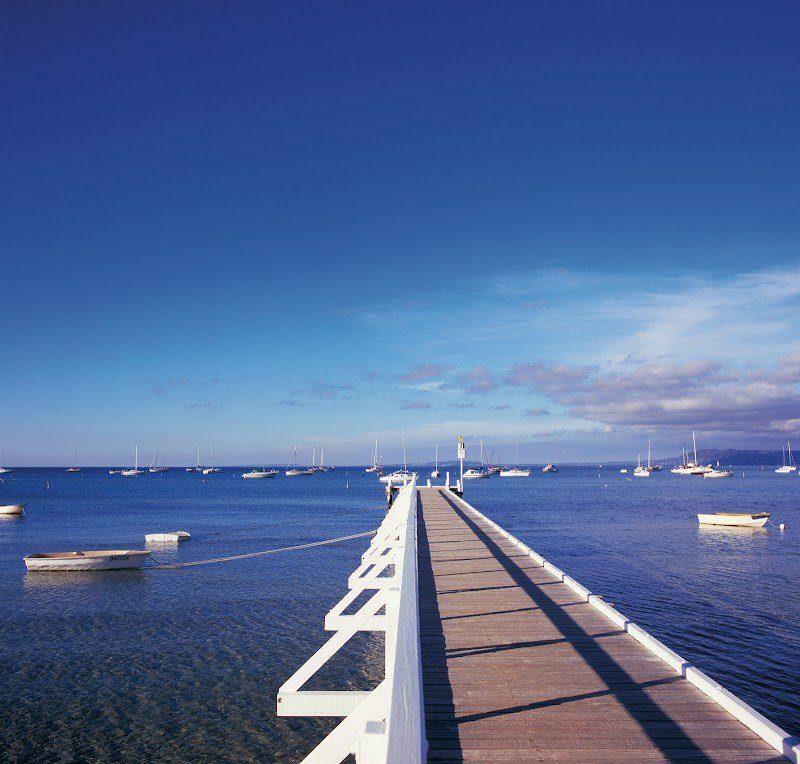 Central to a multitude of recreational activities, it offers the visitor access to restaurants, wineries, fishing, skiing, canoeing, four wheel driving, golf and bushwalking. 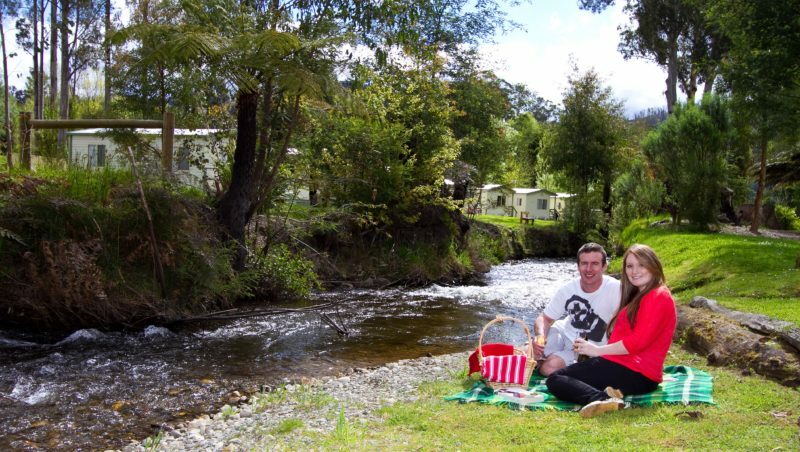 Marysville Caravan and Holiday Park is within walking distance of the magnificent Steavenson Falls. A 30 minute drive to Lake Mountain, the closest snow mountain to Melbourne. King size single bed. All linen and towel. Ensuite and a television. Tea and coffee making facilities, microwave, barbecue outside door. This house is set in the heart of Marysville, not located in caravan park grounds. 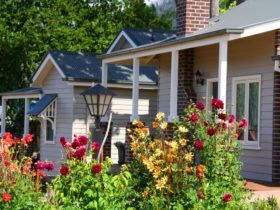 The cottage has two bedrooms with queen beds and own ensuite. One bedroom with two bunk beds, two pull out single beds and a pull out lounge (double bed). 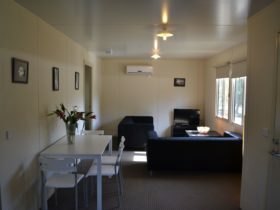 The cottage has three bathrooms, lounge and full kitchen. There is a barbecue on the balcony. Very family based house, great for small groups. Sleeps up to 12 people maximum. 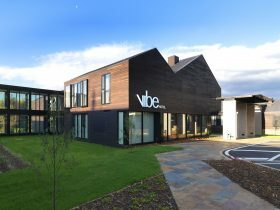 Two bedrooms, ensuite, kitchen, television with DVD player, balcony, private barbecue. Views overlooking the river. Queen bed in main room, double bed with single top bunk in second room. Two bedrooms with a double bed and bunk beds. They provide a kitchen and ensuite inside the cabin. Doonas, pillows and pillow cases all supplied. television with DVD player, air conditioning, kitchens. Bring your own sheets and towels. Sleeps up to six guests maximum. These prices are for two people for one night. Extra rate applies for extra people from the age of two.